 Design for branding/identity, style guide, website, communications materials, mapping and Primary Schools Education Program. 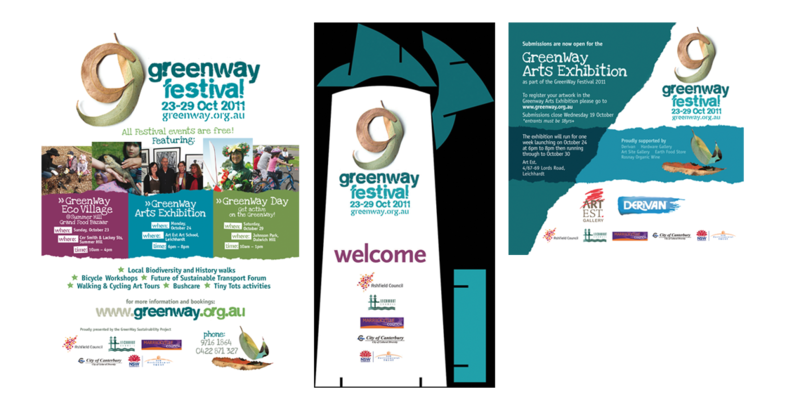 Event design for the GreenWay Festival and GreenWay Bushcare group, collateral and signage. The GreenWay is an urban green corridor in Sydney’s Inner West. It’s a hub for community arts and groups, bushcare, walking and cycling. It follows the route of the Rozelle to Dulwich Hill freight rail corridor and connecting two of Sydney’s most important waterways, the Cooks River and Iron Cove Bay, part of Sydney Harbour.  The project spans 4 council LGAs and is managed by a team at Ashfield Council. The GreenWay vision is to provide a recognisable environmental, cultural and non-polluting transport corridor linking two of Sydney’s most important waterways. 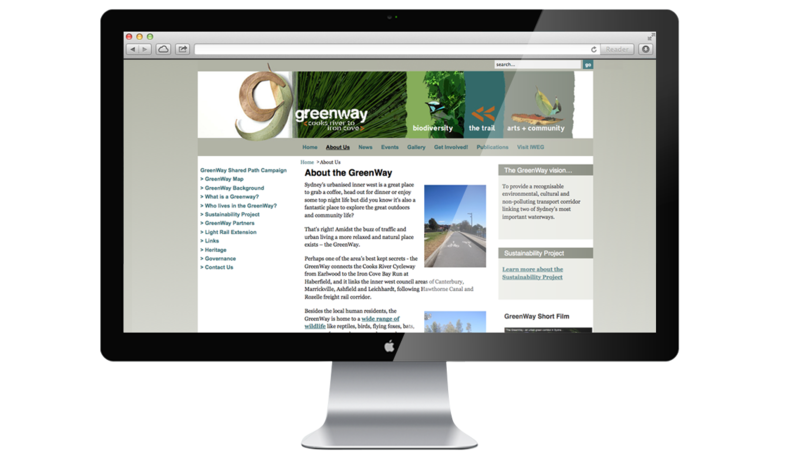 The GreenWay Sustainability Project was selected as a Finalist in the United Nations Association of Australia World Environment Day Awards 2012 in the Local Government Award for Excellence in Overall Environmental Management category. 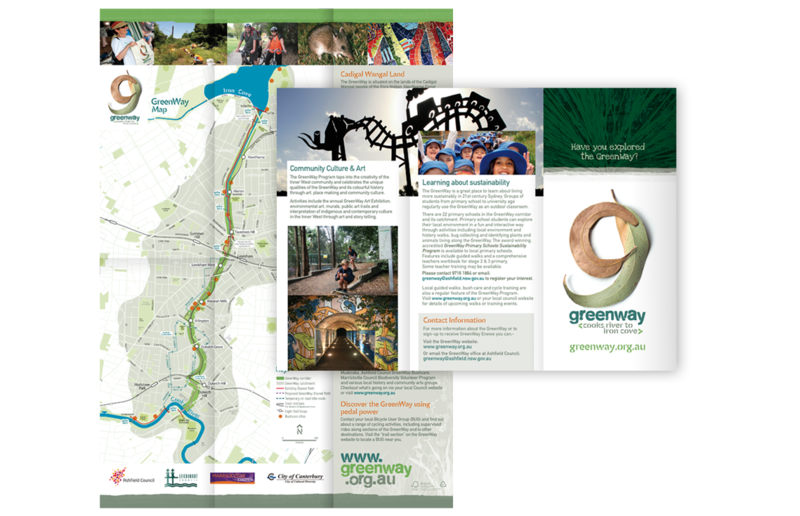 The innovative GreenWay Primary Schools Sustainability Program won a NSW Planning for Children and Young People “Commendation Award” at the NSW Planning Institute of Australia Awards, 2012.